The perennial issue for cyclist is the danger cyclist are exposed to whilst on the road by other road users . More importantly , driving in a manner that endangers cyclist. Every other day on facebook there is news of another cyclist being hit by a vehicle. In todays paper there was an article of a man who was charged with causing death by dangerous driving when he hit a young girl riding to school .He was acquitted and that prompted the WA Government to amend the law ." The case led to major changes in WA's criminal law where drink drivers who cause death are automatically charged with dangerous driving in what became known as Jessie's law." The sad reality at least in Perth , until there is serious enforcement and education , our roads are getting deadlier as more people take to cycling. I hope legislation requiring motorist to keep a distance of at least a meter from cyclist as in Queensland eventually become law. It is a small chance but I believe given the increasing fatalities and serious injuries it is inevitable ( new law to leave a metre for cyclist ) Like Jesse's law , it will take the death of a cyclist possibly a few before the State Government realizes that in our crowded stressed cities , some regulation is needed to separate cyclist and motorist . 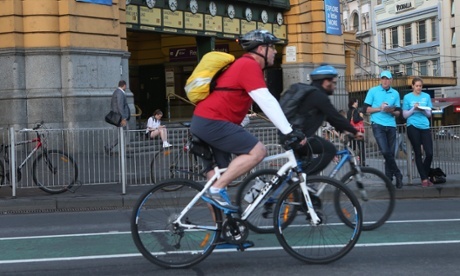 Six cyclists died on WA roads last year and more than 1300 cyclists required hospital treatment for injuries suffered in accidents.